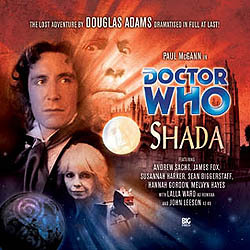 Written in 1979, the original production of Shada was halted by industrial action, and for many years the story remained unmade – until now. Featuring an all-star cast headed by Paul McGann, and boasting an unforgettable script by the great Douglas Adams, this legendary Doctor Who adventure is lost no more! the TV Movie and Storm Warning. This production is an extended, audio only, version of the serial that was originally 'broadcast' on the Cult pages of the BBCi website.